Huge congrats Juliana!! You are on a roll here girl and it's so well deserved! Congratulations!!! How exciting! So many good news in such little time! Well done!!!! Congrats to you Juliana! Well deserved! Congratulations!! I'm looking forward to seeing all your wonderful work! Congrats Juliana! Well deserved. I'm looking forward to your Pebbles creations too! Yes!!!!!!!!!!!! A big congrats my friend! HUGE congrats, Juliana! You are going to be awesome for the Pebbles DT! So happy for you! Wohooooooooooo Congrats Juliana!!! This is going to be an exciting year for you!!! A big congratulations to you!!! That is so awesome! 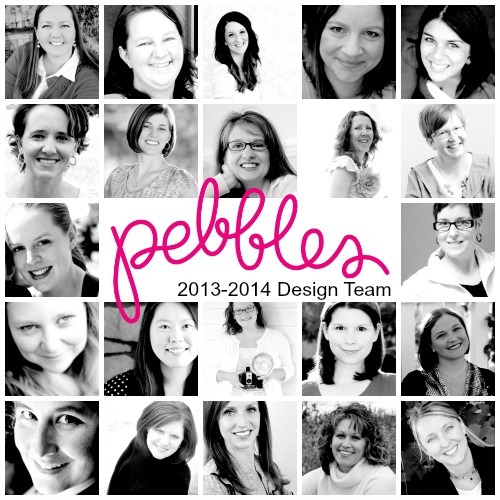 Love Pebbles, so I'm anxious to see what you create! Congrats, Juliana! We are going to have such a fun year. Congrats!! You definitely deserve it! I can't wait to see what you create! Congrats Juliana! Can't wait to see what you do for Pebbles!! Yay, how awesome! Huge congrats, Juliana! Way to go! Smokin' hot on the scrap scene, girl! Congrats girl!! So happy for you! !